Copy trading forex networks are becoming more popular than ever. Mirror trading and social networking among forex traders are projected to be one of the fastest growing trends in 2017. However, concept of copy trading is still unfamiliar for many online traders out there. How to copy trade forex? What are mirror trading networks? Are social trading networks different from copy trading or mirror trading networks? Are are all of them different from Facebook? Is it possible to make money via global copy trade forex network? This article provides answers to some frequently asked questions. 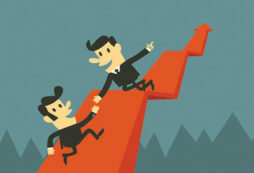 Social trading is trading in close collaboration with fellow traders. International social networks for traders allow users chat with each other, publicly share their trading ideas, trade and copy strategies of successful traders. The exact list of options and benefits depends on the service. There are networks that focus on socialising and networks that focus primarily on quality copy trading. Socialising features may include opportunities to add friends and comment on their trading results, follow other traders comments, etc. 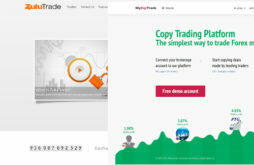 Copy trading lets users automatically copy someone’s trades into their account. Depending on the social trading network, copy trading can leave the user more or less control over the strategies he follows. Does copy trading mean the same as social trading? Copy trading is probably the most important part of social trading. Successful traders disclose their strategies and let other users automatically copy their trades. Strategy providers receive compensation for their services while followers increase their profit without investing extra time into trading and market analysis themselves. Copiers receive trading signals and the same trades are automatically executed on their accounts. The majority of social trading networks today offer copy trading services, so these terms are often used interchangeably. Mirror trading is another synonym to copy trading. It means that a follower mirrors the trades of selected trading provider. Why choose copy trading over generic social networking? If you main goal is to chat with other traders and “stay in the loop”, than joining a forex trading group on Facebook or an industry specific forum might be enough. But if you are trying to integrate socialisation into trading, a generic social network will not help. Social trading networks allow users to copy trade forex or manage their portfolios directly through them, and in some cases to see how other users really manage their accounts, not what they claim on forums. When a trader selects to go public or become a strategy provider, all trading data from his account is automatically shared with others (this doesn’t reflect personal data. Things such as name or contact information are kept private). How do mirror trading forex networks make money? 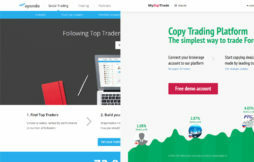 An independent network, such as MyDigiTrade, allows copy trading network’s traders connect their existing account or start a new one with one of the supported brokers. The service is provided for free to users and the platform gets paid by their partner brokers at no extra cost to traders (brokers share part of their regular spreads). When a social network has it’s own brokerage behind it, the choice is obviously limited to that brokerage and its income comes from spreads. If you are satisfied with the broker you currently have, you may prefer to look for a copy trading network that supports this particular broker. Why join international copy trading network? People come to mirror trading for different reasons. Some are looking to increase their profit, others just want to have their trading ideas backed by community. If you are just starting with forex, copy trading can provide a perfect learning experience. Copy trading scheme for success is simple: by following successful traders you see how they trade and learn from the best in real time without paying for private consulting. Watching how experienced market participants manage their accounts is invaluable for a novice. At MyDigiTrade you can also check full list of trades opened within a 12 months period and analyse past performance of strategy providers. For an experienced trader dedicated copy network for traders can help fine-tune their strategies and discover new approaches to trading. Finally, for those who don’t have enough time to trade independently or want to avoid the stress of actual trading, copy trading seems to be an ideal solution. Following successful traders help a lot of people create constant stream of passive income. And if you are a successful trader, you can join such network to share your results with other and get paid for doing so. Anyone who is successful at trading can further increase their income by becoming a strategy provider. Strategy providers get paid for letting followers use their trading signals and copy their trades. The advantage of copy trading schemes is that strategy sharing doesn’t require any technical knowledge or additional efforts. Once you are registered, you can connect an account and simply keep trading the way you’re used to. If the strategy is profitable and stable enough, other users will eventually discover it and start copying your trades. The term social trader can refer to any user of a social trading network, whether they have open profiles and share their strategy with others or hide their personal information and copy forex strategies. When copy trading was invented? Mirror trading forex is a phenomenon of 21st century. The market has changed significantly in the past 100 years. Back in the 19th century people used to rely primarily on fundamental analysis. Things started to change after Charles Dow introduced his theory to the market. Ideas of a reputable Wall Street trader and like-minded people led to boom of the technical analysis. Computer technologies, developed later, helped simplify this process and allowed more sophisticated analysis. Eventually these machines evolved into trading robots. By the end of 20th century around 80% of market operations were executed by algorithms, not humans. At that time a lot of traders overestimated the potential of robots and lost money by giving machines full control over their accounts. No matter how sophisticated the algorithm is, a forex robot can’t perform well for a long time without human supervision. Copy trading, introduced at the right time, have become a perfect solution to this dilemma. Copy trading strategy providers challenge private money managers as they are a lot less expensive and more secure (strategy providers don’t control followers accounts). Copy trading forex in general generates higher profit than automated robotic trading, as in copy trading accounts are run by real people. Today we can clearly say that social networking for forex traders is a stable growing trend that is not going to fade in the nearest future. This market is still far from reaching it’s full potential, so if you’re going to become a strategy provider, now is a good time to start. Crowd trading fits perfectly into new sharing economy. Millennials can’t imagine their life without social networking and mirror trading can eventually outgrow classic trading. Copy trading networks are developing fast to become more powerful and better adjust to their users needs. For example, MyDigiTrade offers traders unprecedented flexibility and control over strategies they follow.